Six months after first launching his meringue dynasty, Charlie Buckett, Ashley Glasic is setting up shop in Elwood. After gaining a strong following as Australia's first online meringue bakery, Glasic's trademark, hand-piped meringue kisses are graduating to their very own sun-drenched café, due to open next week. Glasic's love affair with meringues started from a young age, when he visited bakeries with his family to indulge in this sweet treat. 'I really enjoy rustic baking, items that you grew up with knowing and loving and that have also been around forever,' Glasic says, noting that launching a meringue bakery as his first business venture was a no-brainer. Now, after months of being available only online or at select cafes around Melbourne, including Capital Kitchen in Chadstone, Charlie Buckett meringues are moving into their very own space. And we are sooo eggs-cited! 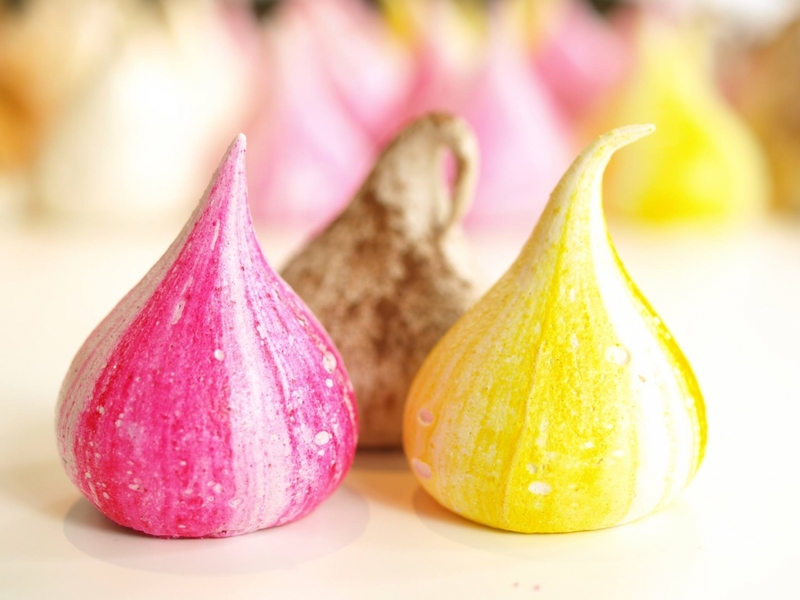 The Charlie Buckett café is set to offer the bakery's extremely popular meringues in a range of sizes, as well as a wide selection of other baked goods, both sweet and savoury. Additionally, Charlie Buckett will offer its own exclusive coffee blend to satisfy your caffeine cravings, and a selection of delicious teas and hot chocolates, with flavours including chili chocolate and mint chocolate. Like the online store, the flagship Charlie Buckett shop front offers several meringue gift boxes and take away treats, but if you do have the time, pull up a chair and savour a delicious morning tea in the welcoming café. Fun and friendly, Charlie Buckett – much like the book from which the moniker heralds – is a place for music makers and dreamers of dreams…not to mention people who just love beautiful and delicious little treats. Charlie Buckett is set to open the week starting 18th of August…stay tuned for updates! Maddison is a writer with a regional tourism website who likes to spend her free time eating or writing about what she has eaten. She's also a fan of wine, kelpies, zom coms and all things chocolate.